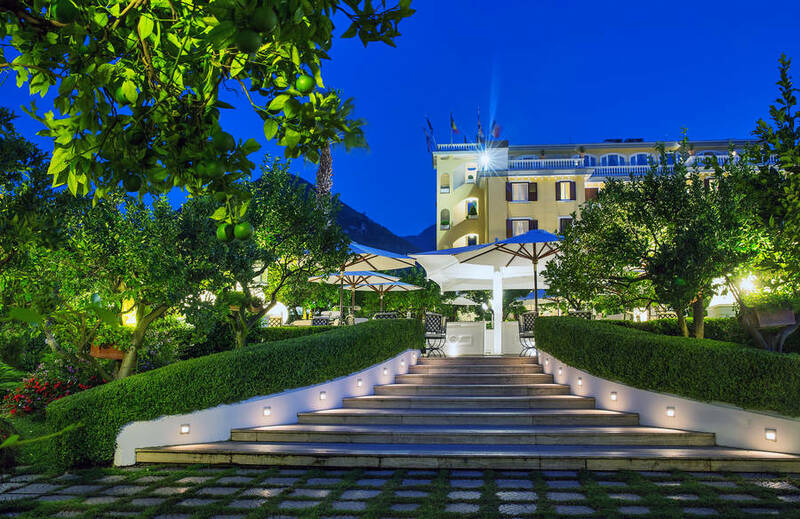 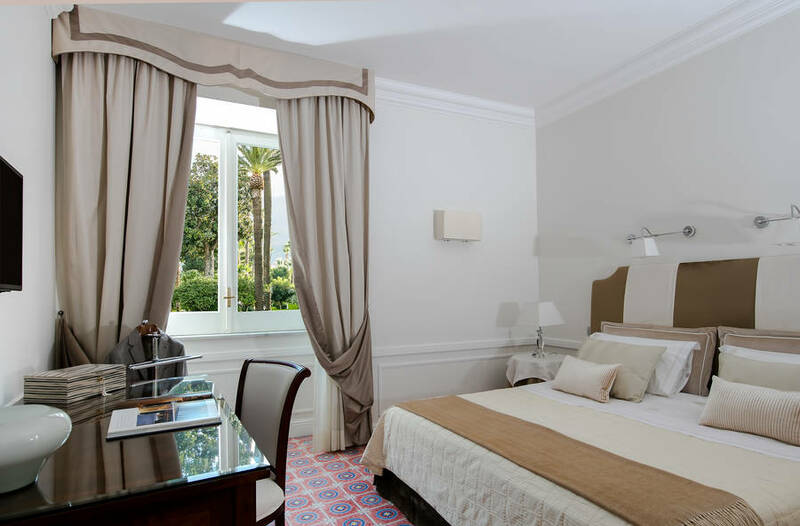 Grand Hotel La Medusa is an elegant and welcoming 4 star superior hotel located in Castellammare di Stabia near Naples, Italy. 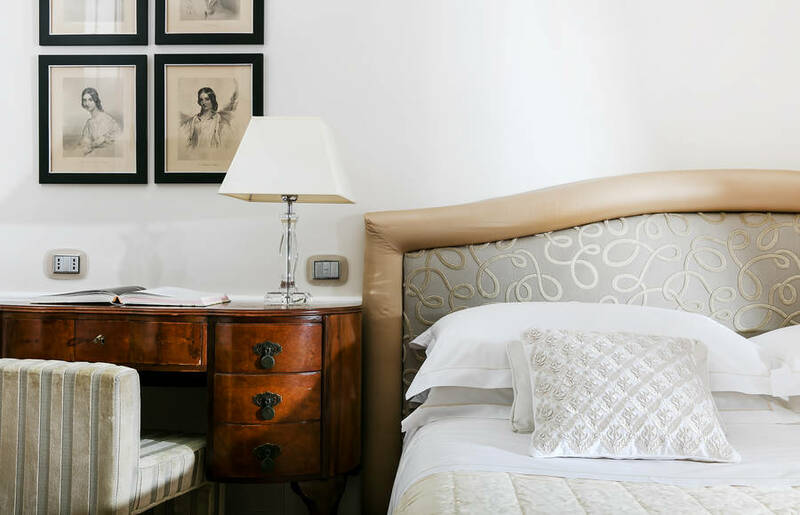 This romantic turn-of-the-century villa has been transformed into a charming historic accommodation, preserving the original design and architecture while blending this spirit of the past with contemporary style and services. 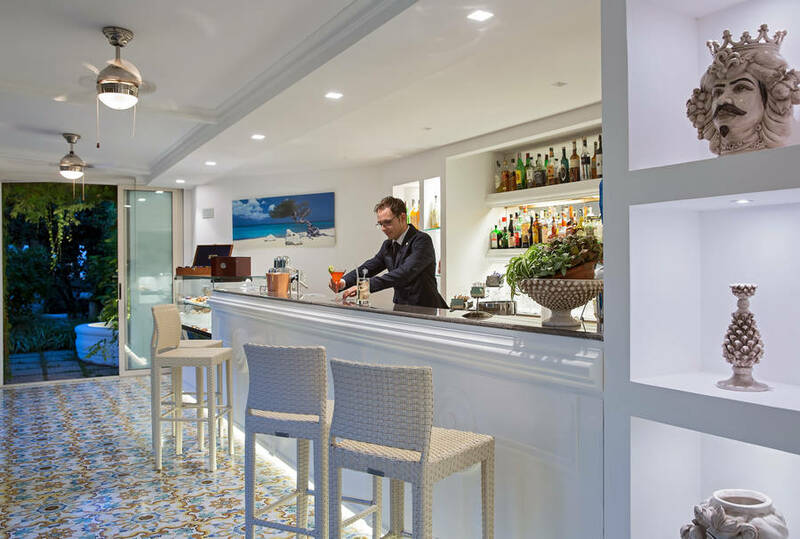 Guests at La Medusa feel immediately at home thanks to the warm Italian staff who treat all travellers as their personal guests. 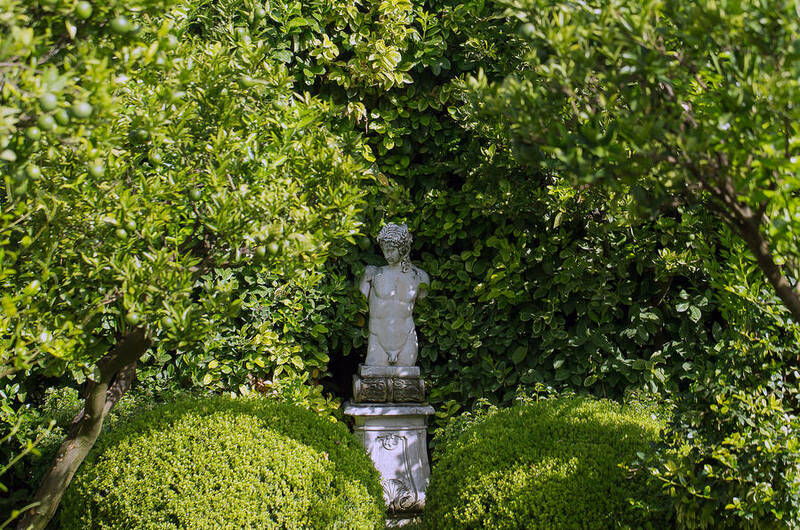 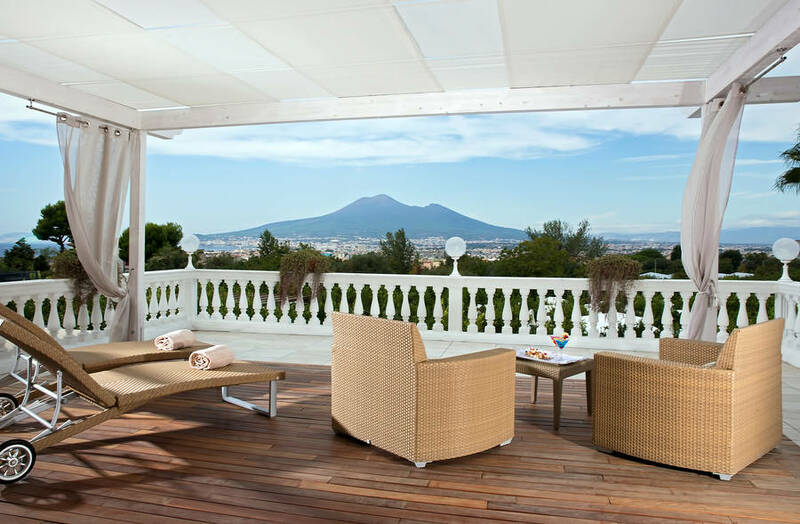 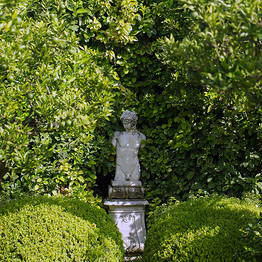 The villa is surrounded by a beautiful estate with historic shade trees, lovely Mediterranean gardens, and scenic corners offering spectacular views over the Bay of Naples and Mount Vesuvius. 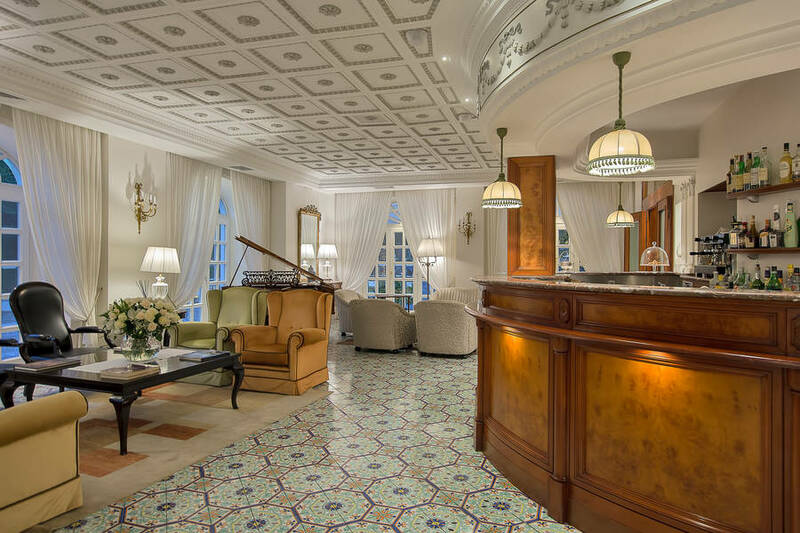 Inside La Medusa, the halls and rooms boast a timelessly elegant decor which is paired with select elements of contemporary design. 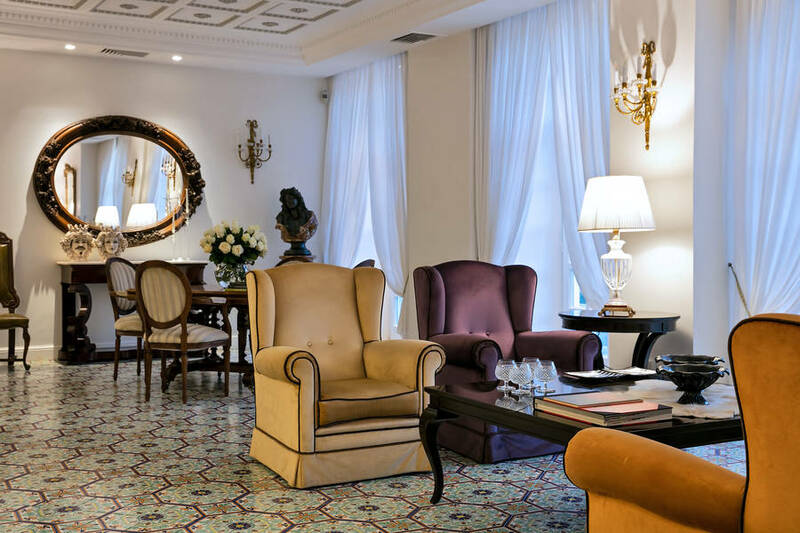 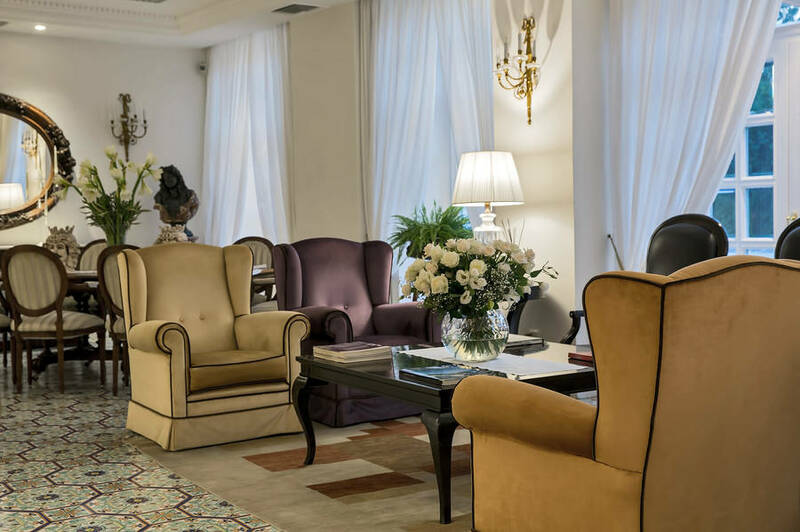 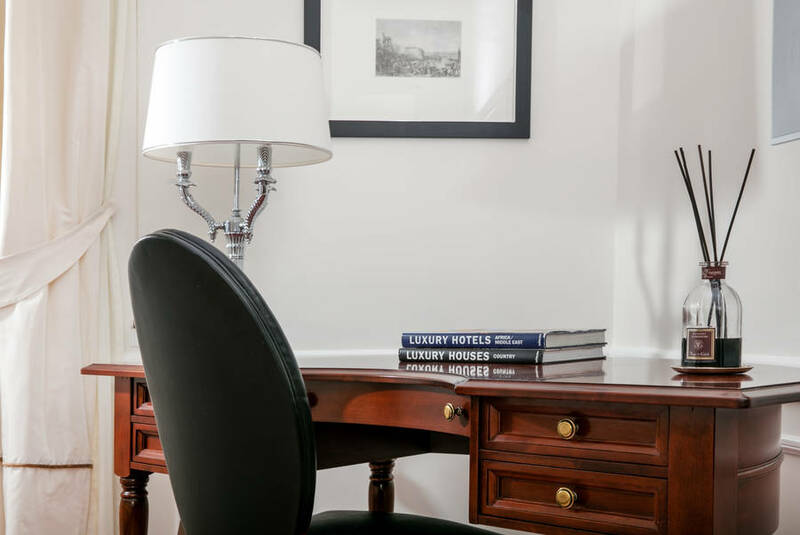 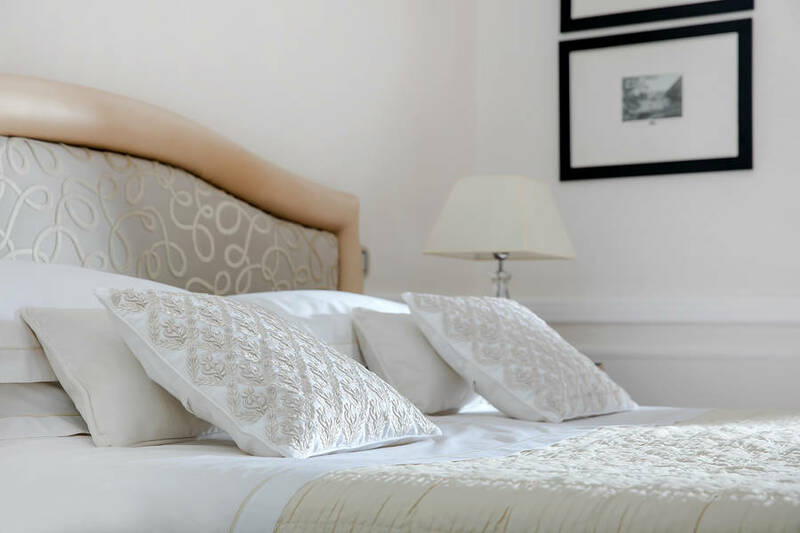 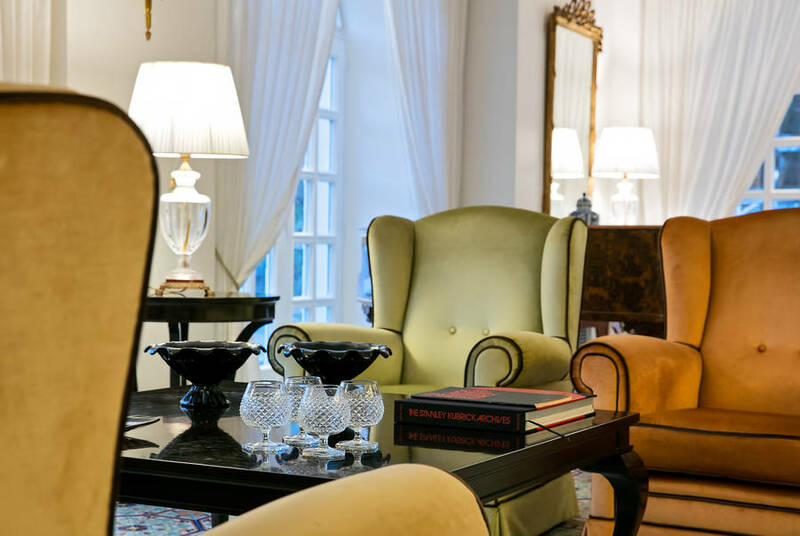 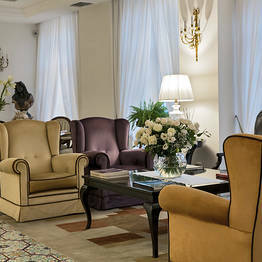 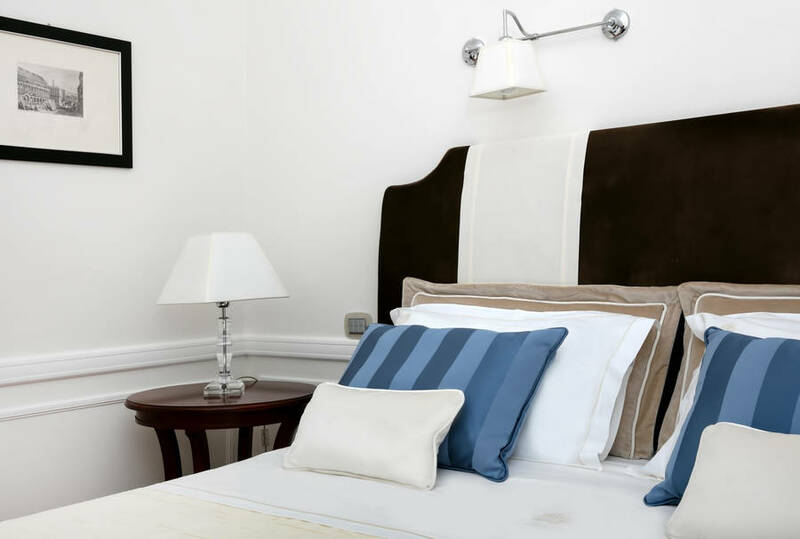 The hotel's soothing atmosphere is carefully crafted down to the smallest detail, so guests can simply relax and enjoy this beautiful area of Italy. 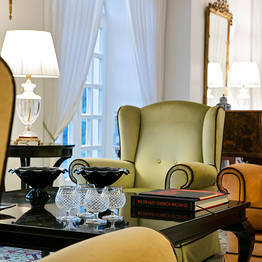 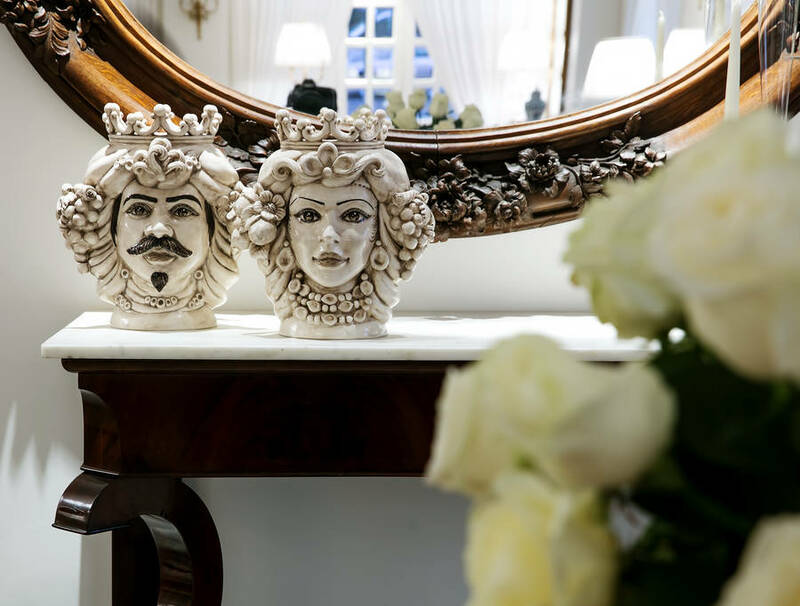 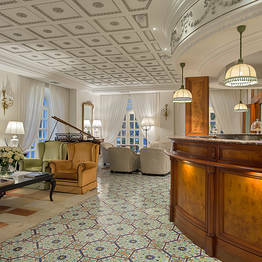 The handpainted tiles from nearby Vietri, beautiful antiques, and wall tapestries in the hall, bar, and restaurant are just some of the small touches which remind guests of the unique experience of staying in a historic residence. 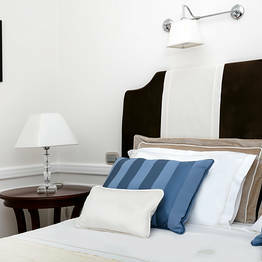 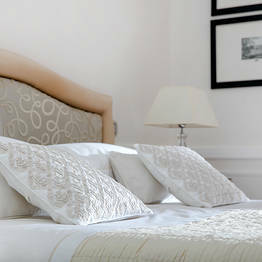 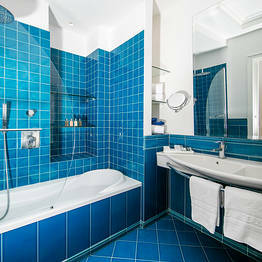 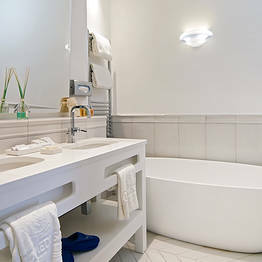 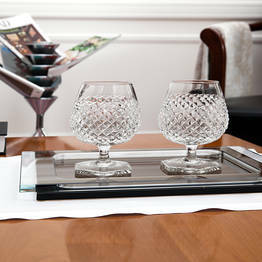 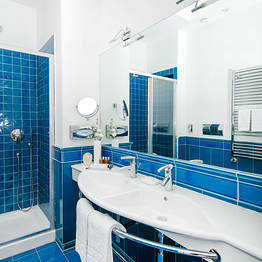 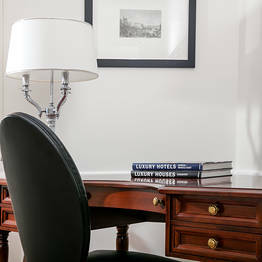 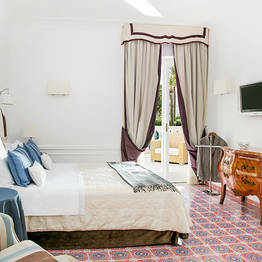 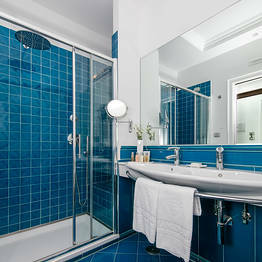 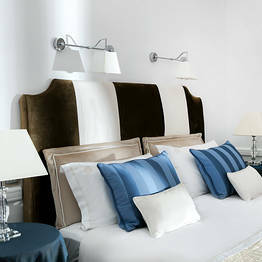 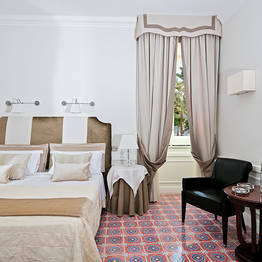 La Medusa Hotel offers double rooms in three categories: standard, superior, and deluxe. 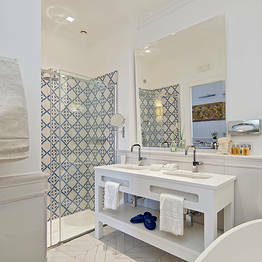 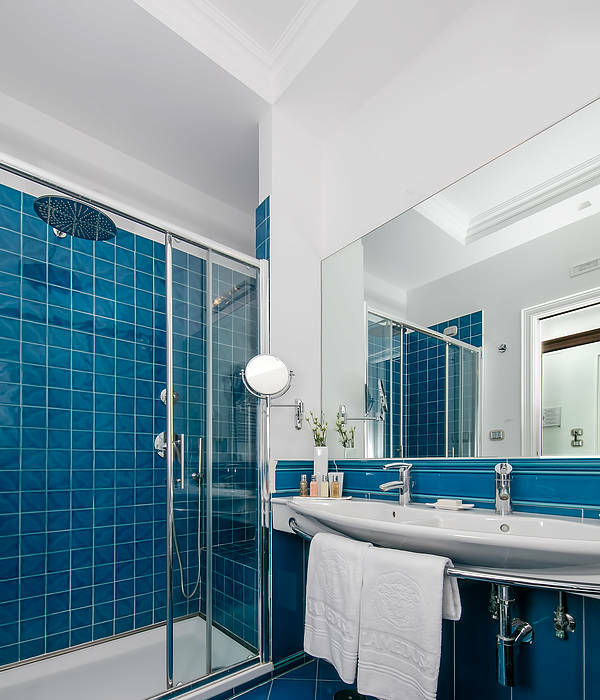 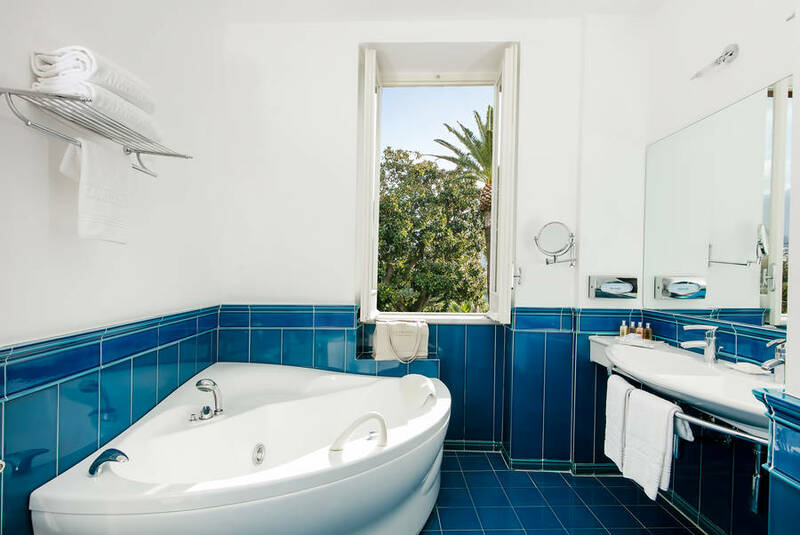 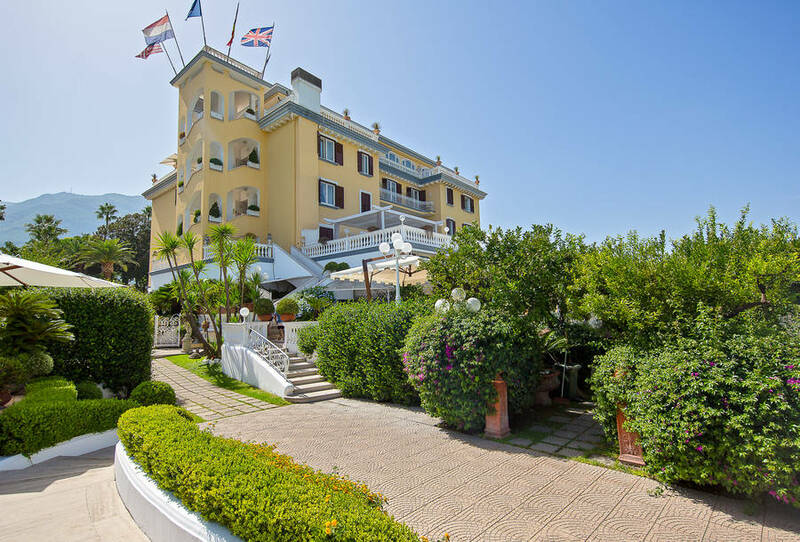 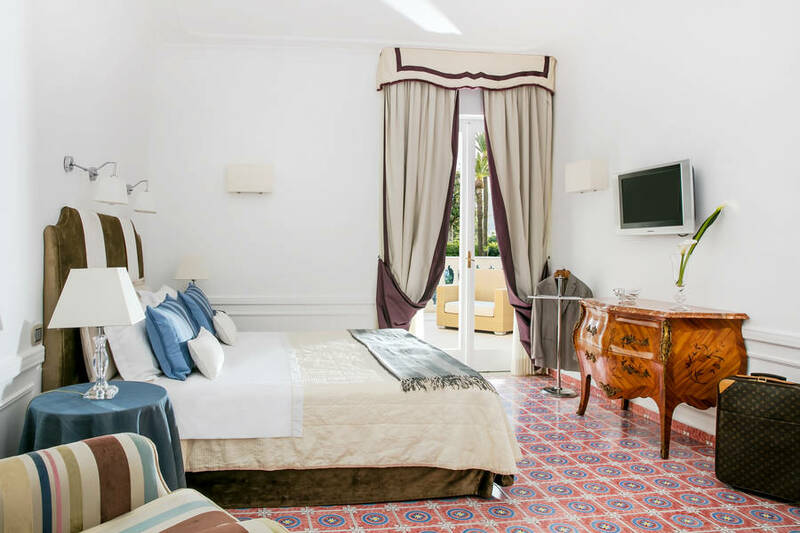 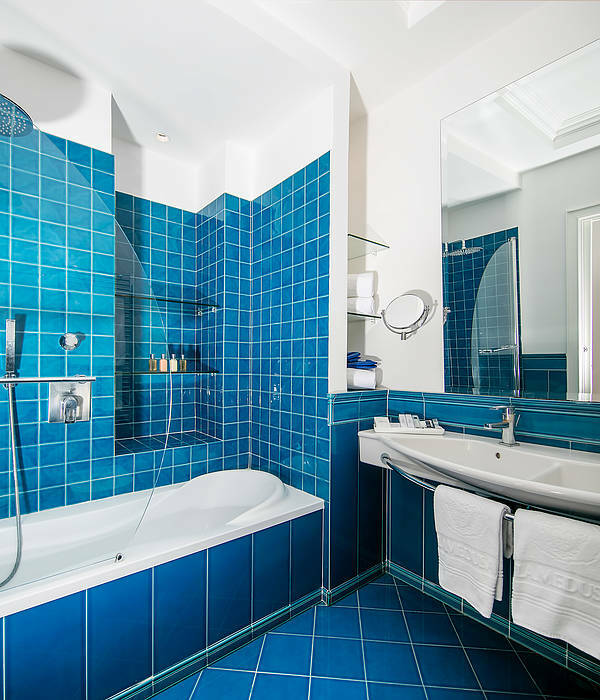 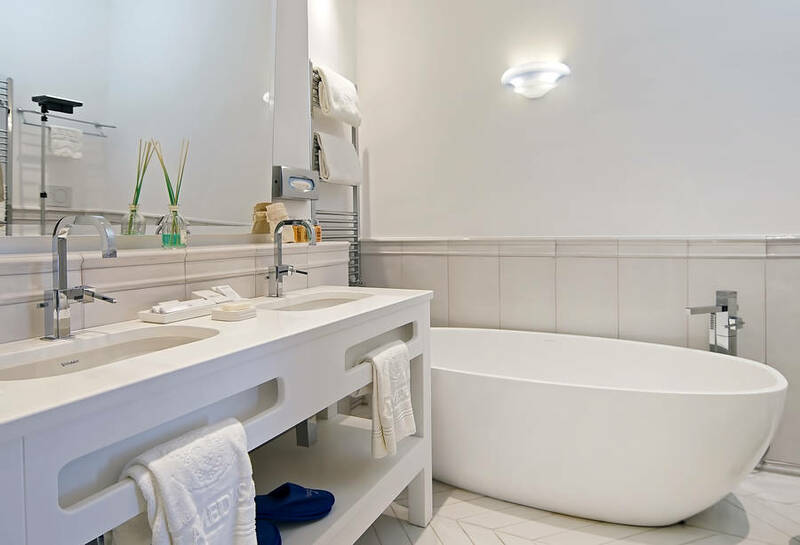 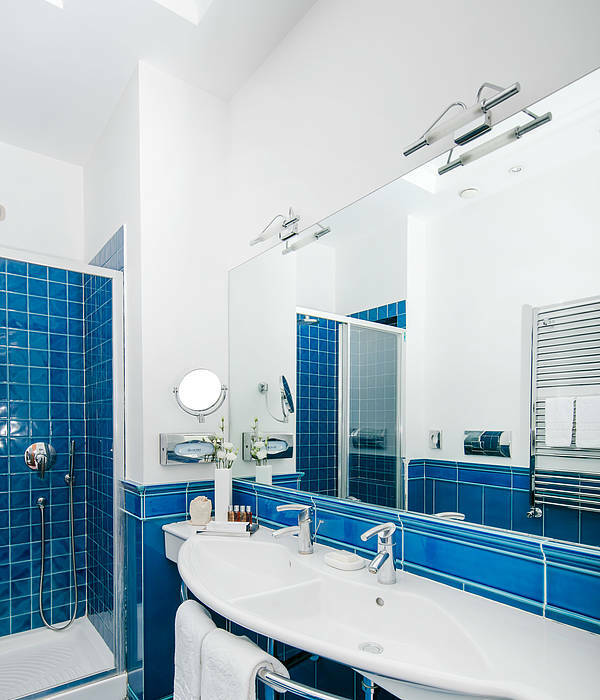 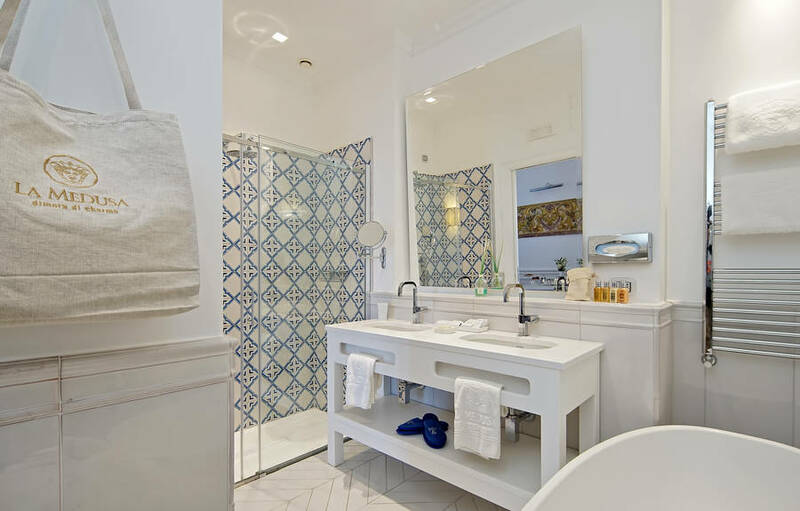 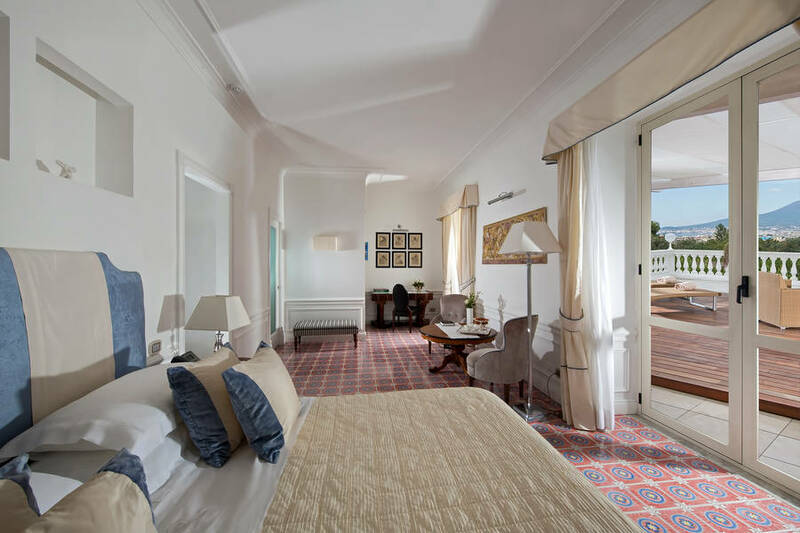 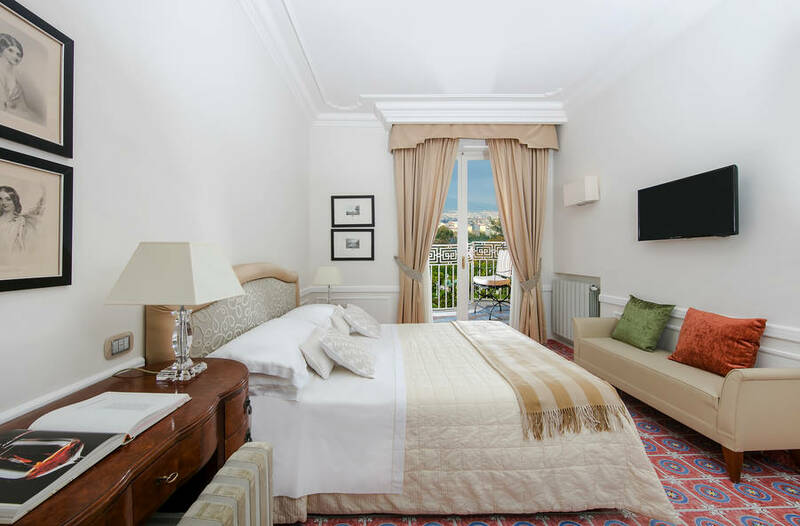 All are comfortably spacious, have pretty views over the gardens and sea, and are furnished in a classic, modern style with handpainted Vietri tiles on the floors and decorating the ensuite bathrooms in bright Mediterranean colors. 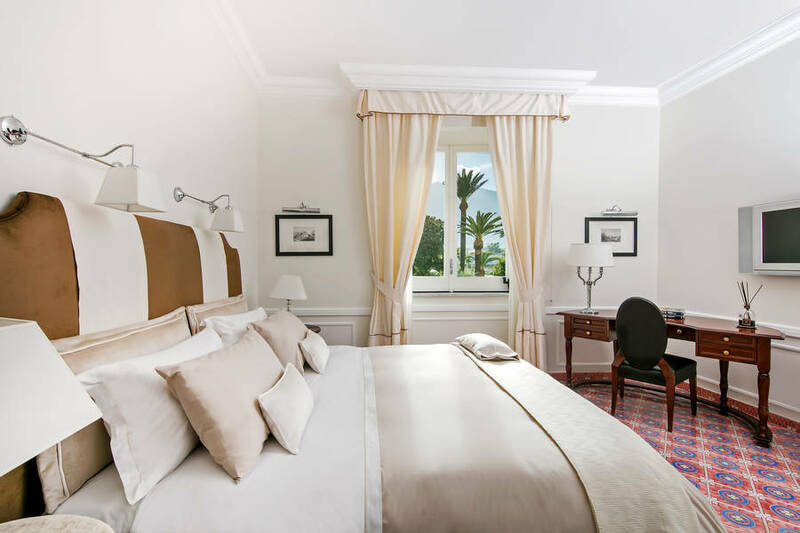 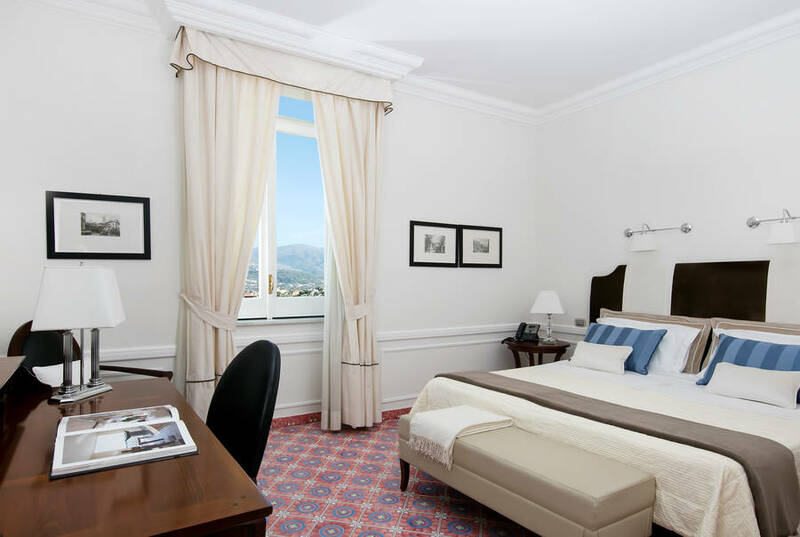 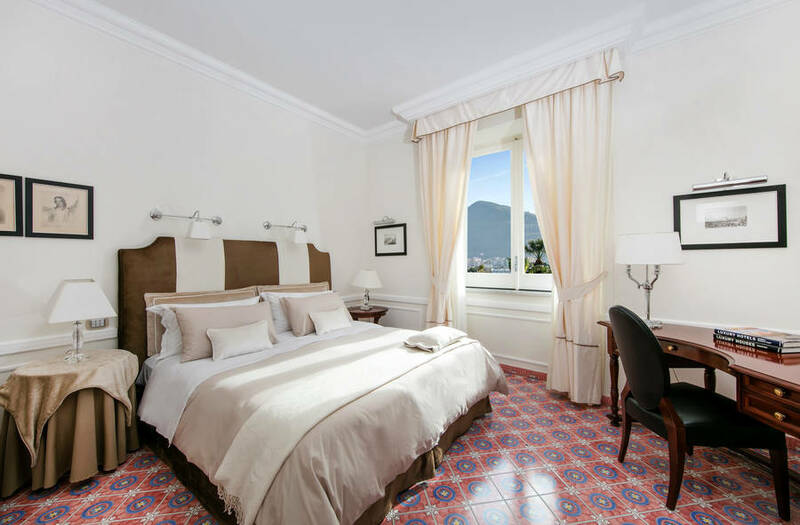 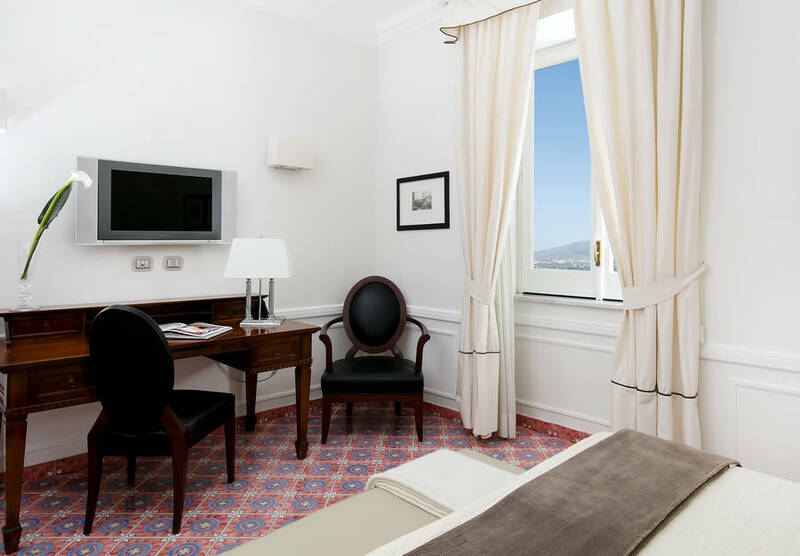 The hotel's crown jewel is its Suite: a luxurious room with a breathtaking view over the Bay of Naples and the surrounding estate, a large sundeck with loungers, deck chairs, and armcharis, and a spacious bathroom with a massage shower and sauna. 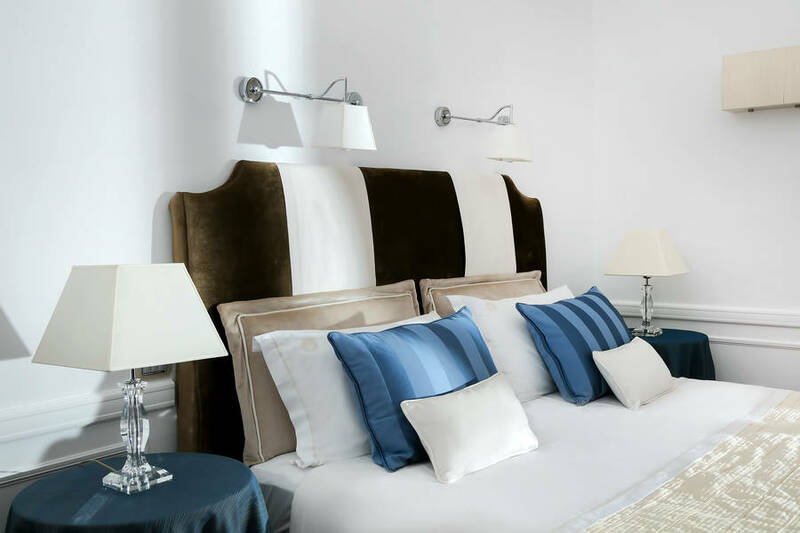 Add to this the attentive service available to all the guests at La Medusa, and your stay in the Suite is a recipe for indulgence. 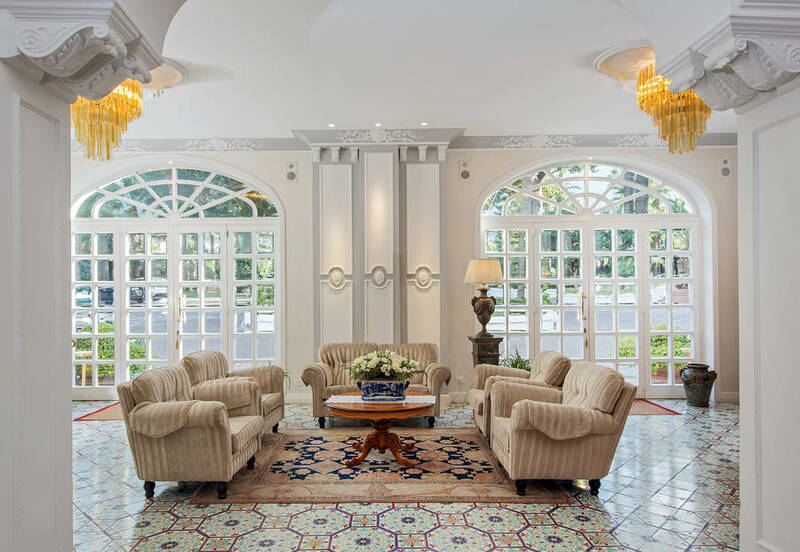 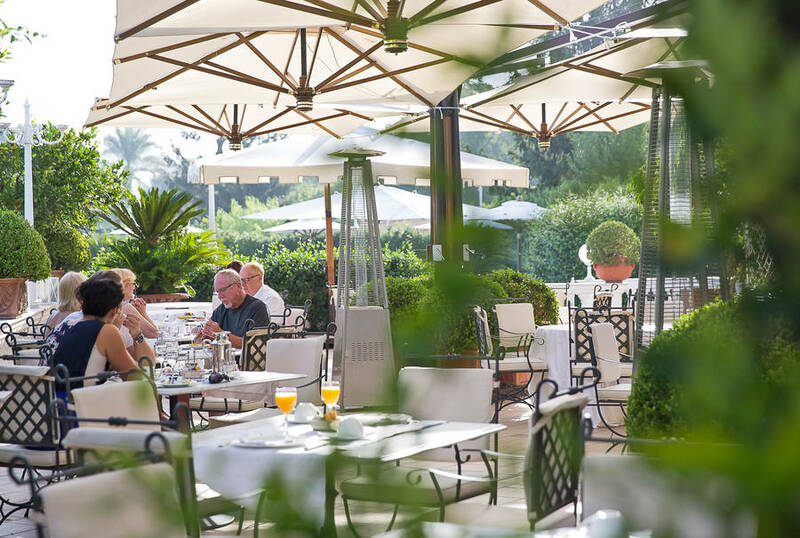 Walk through the stunning Art Nouveau glass doors into the sweeping historic gardens surrounding the hotel and choose a quiet corner with loungers and armchairs under a shady gazebo to relax in peace. 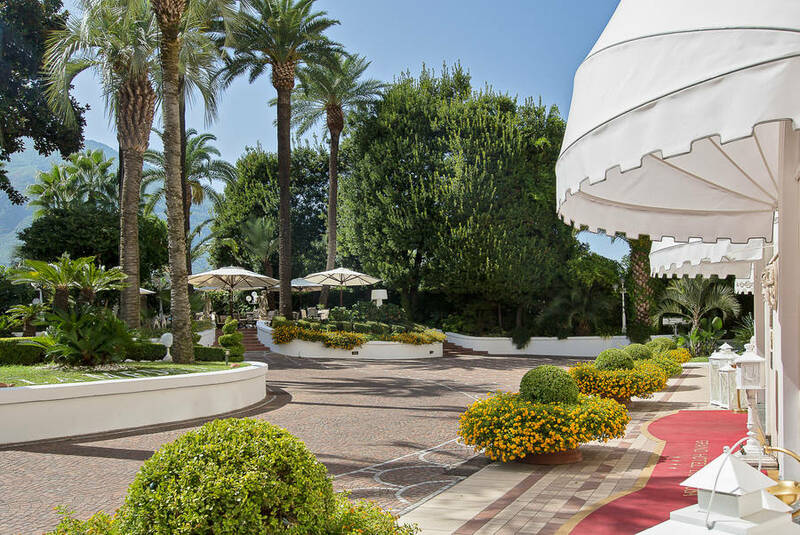 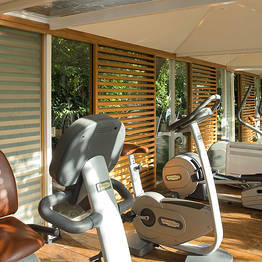 Stroll along the flower-lined paths under the trees to the open air fitness area, where you can stay in shape while breathing the fresh sea air. 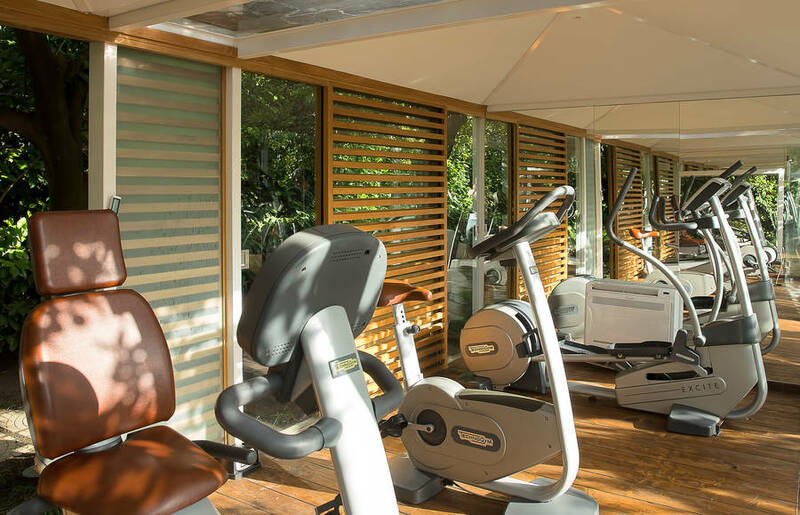 Continue further along the path to the outdoor pool with massage jets and showers, a sun deck, and loungers, umbrellas, and towels available for guests. 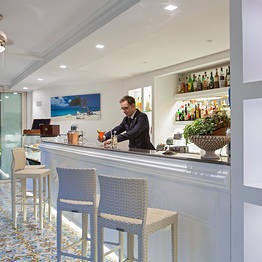 Just a few steps from the pool, the Pool Bar or the open air La Veranda & le Terrazze restaurant under the citrus grove is where guests can sample the Mediterranean and international cuisine prepared by the chef at La Medusa, which is inspired by the flavors and spices of both land and sea. 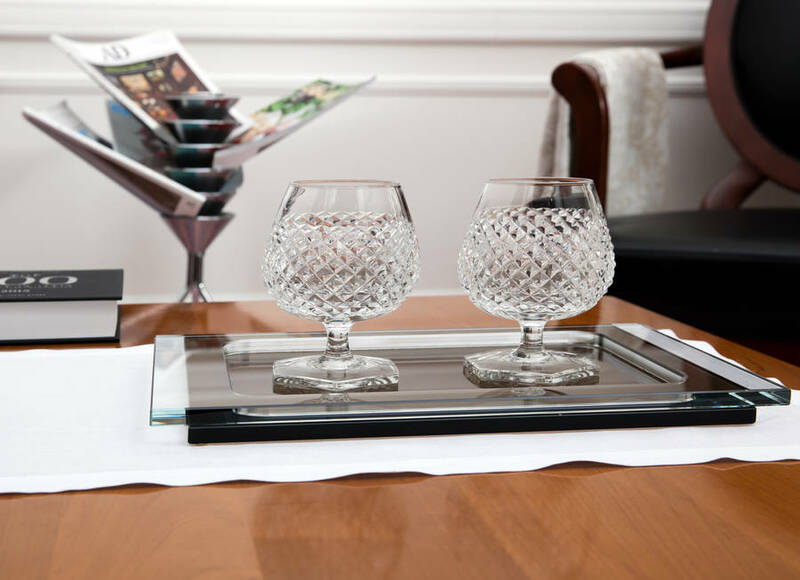 This is the perfect spot for receptions, gala evenings, and exclusive events...made elegant by the crystal and silver place settings and careful staging of the dining area. 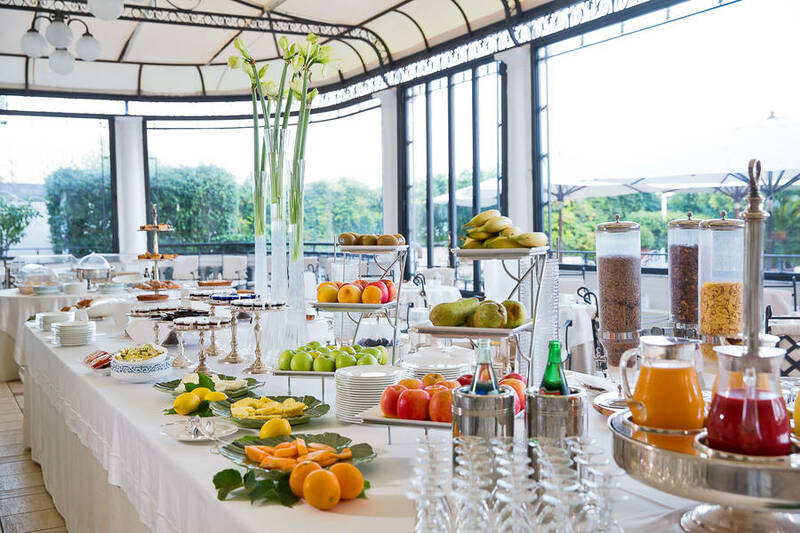 The La Medusa Hotel is an excellent choice for business events, with meeting rooms that can accommodate up to 200 participants, complete with the latest generation audio/video equiptment, high speed wifi connections, and banquet halls. 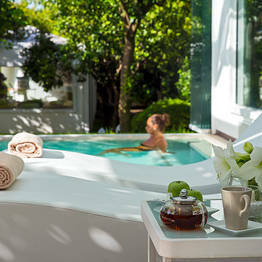 Retreat to this quiet oasis to recharge mind and mody! 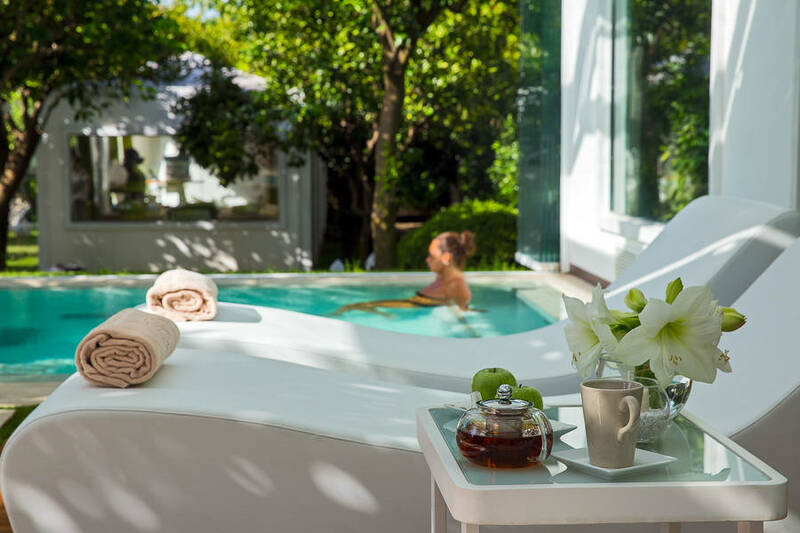 Eden is the boutique Spa in the La Medusa Hotel where guests can indulge in pampering in complete privacy and enjoy the relaxing, luxurious atmosphere created by the professional staff. 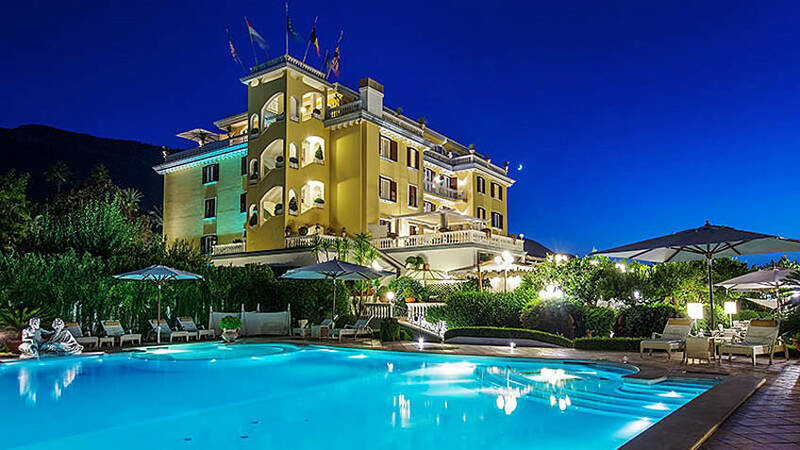 Finnish sauna, steam baths with essences, hydrotherapy and ozone massages, relaxation shower, a tea room: the services at the La Medusa Hotel spa will let you leave your worries behind for a few hours while you soak and unwind. 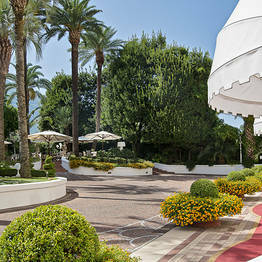 Treat yourself to a face or body treatment or massage with one of the spa's special packages. 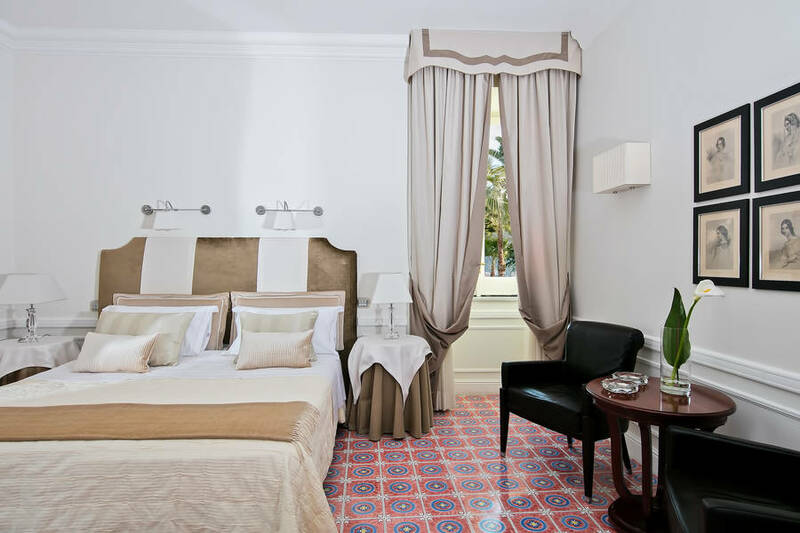 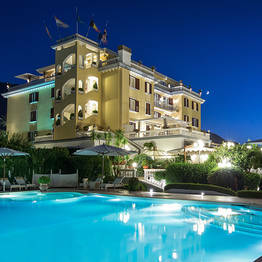 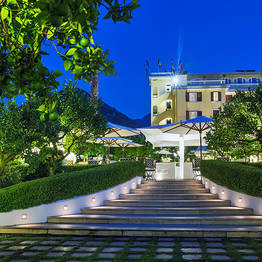 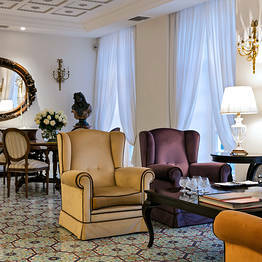 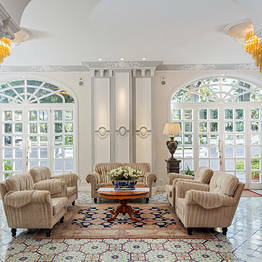 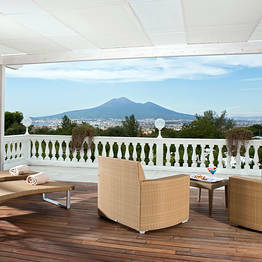 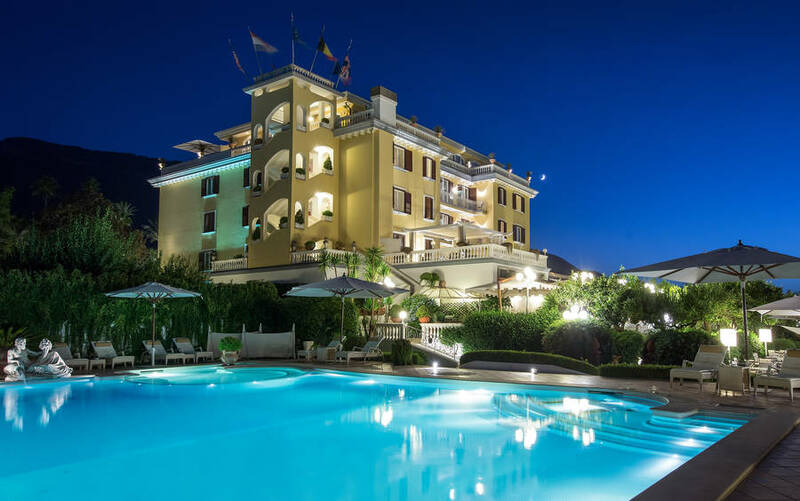 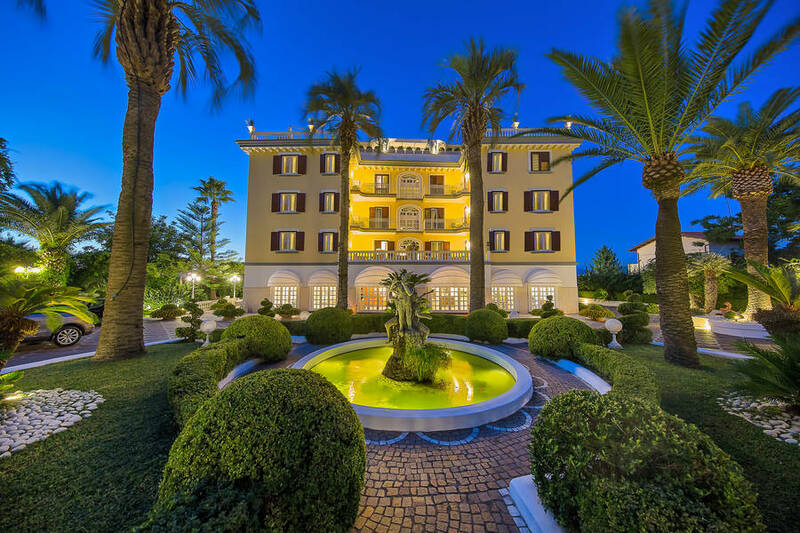 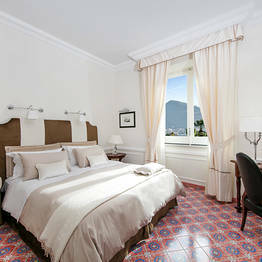 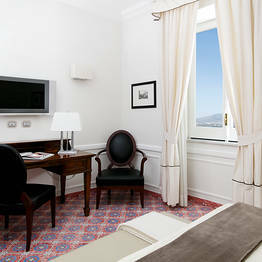 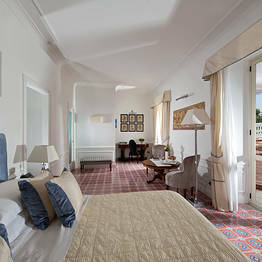 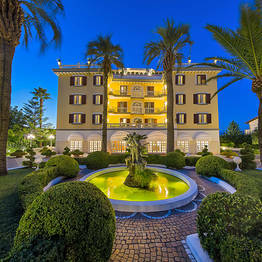 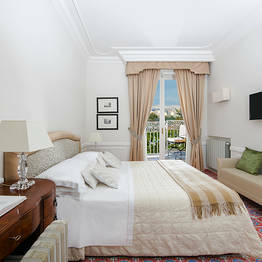 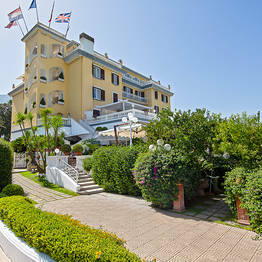 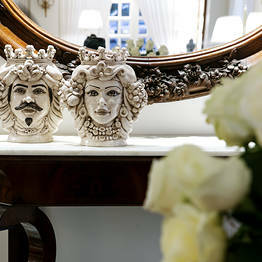 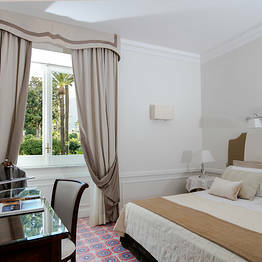 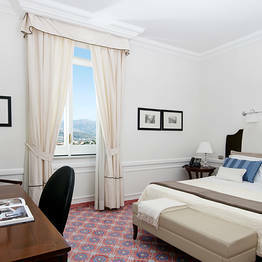 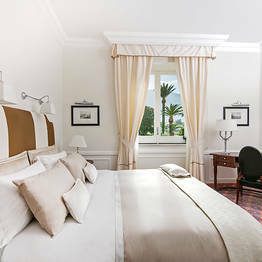 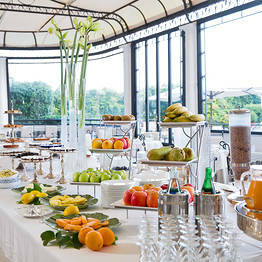 Book Grand Hotel La Medusa on SorrentoInsider now with no additional booking fees.